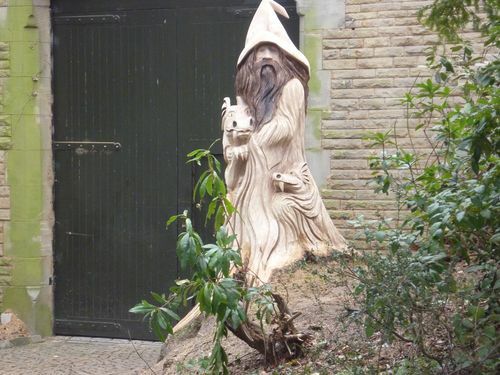 This Wizard, sculpted with chainsaws from an oak stump, is overall about ten feet tall from ground level. He stands with two dragons outside the Coach House of a property in Cheshire - looking towards the main entrance gate. His eyes follow you as you walk passed.